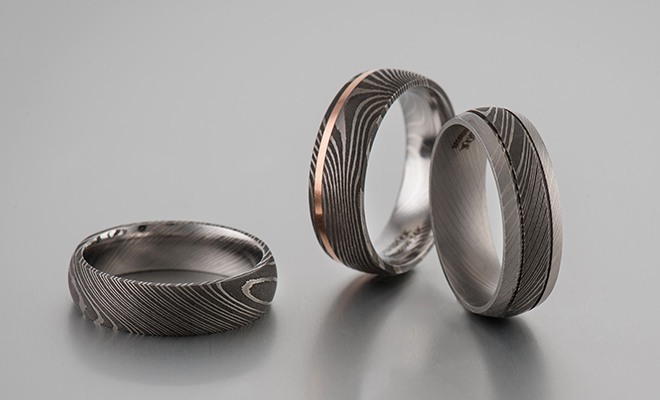 Meteorite and Damascus Steel Wedding Bands - Shane Co. 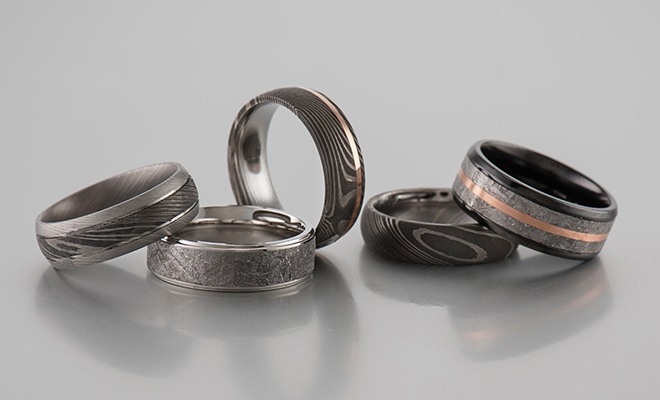 This fall, Shane Co. is releasing a new collection of men’s wedding bands crafted with meteorite and Damascus steel. Keep reading to learn more about these exciting new styles. on his hand will protect the meteorite from discoloring over time. Gibeon meteorite is extremely rare, and we only have a limited supply, so make sure to check them out soon! 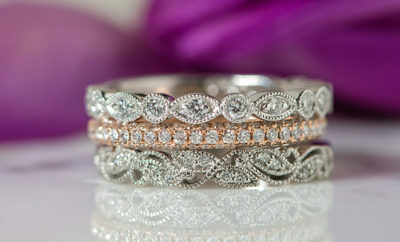 meaning each wedding band will be slightly different—like a fingerprint! The pattern on the ring can be seen and felt, as it is part of the structure of the metal. 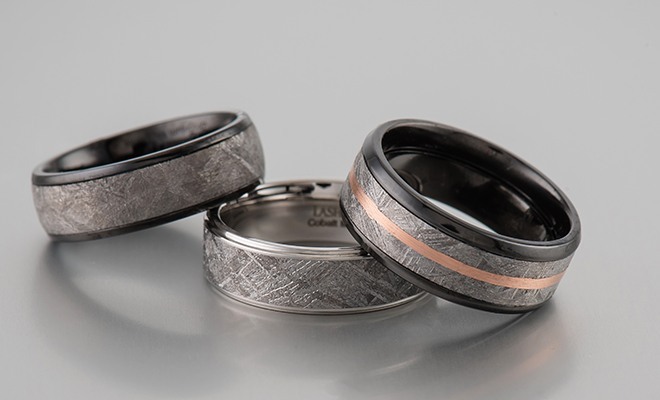 Our new meteorite and Damascus steel wedding bands are covered by our Free Lifetime Warranty. 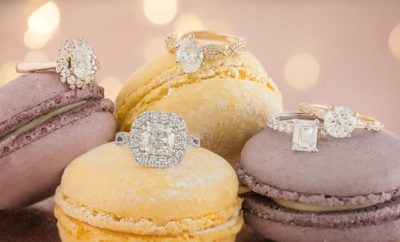 To shop all the rings in this collection, visit your local Shane Co. or head to ShaneCo.com.